Capt. Stan's Deep Sea Chronicles: The Final Stretch! Last Day to Vote for The THERAPY-IV on Local 10’s Top Ten Contest! The Final Stretch! Last Day to Vote for The THERAPY-IV on Local 10’s Top Ten Contest! Hard to believe that the time has come- Local 10’s Top Ten Contest ends today, so let’s finish strong! 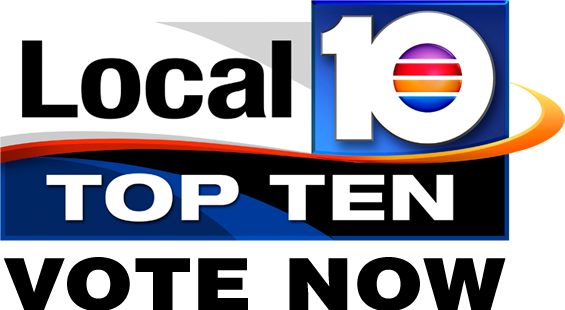 Since The THERAPY-IV's been nominated in the running for the Local 10 Top Ten contest, hosted by WPLG/Local 10, the ABC television station serving South Florida, we've been at the forefront of our category. There is nobody else to thank but all of our wonderful friends, family, and guests who took the time to vote for us. Words cannot express our excitement and pride to be so recognized and appreciated by you, our fans, and we’re extremely humbled by the other fantastic businesses in the running. The THERAPY-IV is South Florida’s premiere fishing charter, with a skilled crew and set in the beautiful waters Miami is famous for. Our experience, crew, and unrivaled understanding of Miami’s waters is what has earned us the TripAdvisor’s Traveler’s Choice award for 2013 and TripAdvisor’s Certificate of Excellence for the past three years. Our fishing experience is perfect for anyone, beginners and seasoned alike. With over 40 years experience fishing the Atlantic and bay waters of Miami, the Therapy-IV team is the best team to spend a day out on the sea with. We have an expert crew and two fantastic 58-foot vessels fully-equipped to catch any fish traversing our waters, as well as accommodate groups of 6 on each boat. For more information on Miami Beach Deep Sea Fishing, call us at 305-945-1578.